Brooks decides to accept UConn's offer, because if he has to pretend to be somebody else to go to Yale, he doesn't want to go. Brooks apologizes to and makes up with Murph. 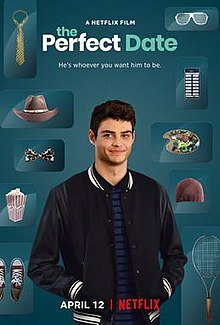 He also meets up with Celia and writes a letter to her, where he reflects on how his previous ambitions were to drive the fanciest car, go to the nicest school, and date the nicest girl. But he's revealed that these ambitions made him a bad friend, an ungrateful son, and self-obsessed. He writes that the times when he felt the most himself was when he was with Celia and wants to be with her. Meanwhile, Brooks informs his dad that he has received mail - which turns out to be a grant designed to help him reignite his failing writing career. It is heavily implied that this letter is actually a fake, and written by Brooks himself. using his "Yale-fund" earnings from the app to give his dad the push he so desperately needs.